The final slot for Warner Bros. Television’s marathon Saturday session at the San Diego Comic-Con was reserved for the grand old man of the company’s superhero line up – Arrow. With its sixth season getting under way this fall, the now venerable-costumed vigilante series — the antecedent of the Flash, Supergirl and the various Legends of Tomorrow — the series has come full circle. 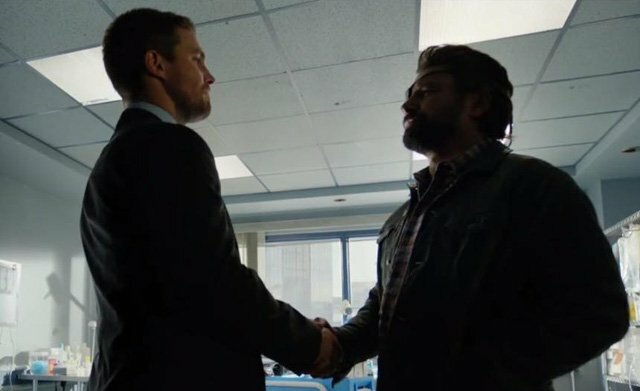 From the start, half of each season has been relegated to flashbacks from ‘five years ago’ showing the evolution of star Stephen Amell’s Oliver Queen from a spoiled trust fund brat to the cynical, hardened vigilante known as The Hood who was prepared to punish anyone who had ‘failed his city!’ Come October, the past has become the future has become now and the show will begin to move out of the shadow of its past and begin charting a new course. “We’ll still have the flashbacks, but not in every episode and not just for Oliver,” executive producer Marc Guggenheim told the audience at the Comic-Can panel, joined by the entire cast of the show. Instead of flashbacks to Oliver’s recent past, the show will have flashbacks for the various characters of the show specific to the story of the episode, including one story they have been itching to tell for some time. The admission that Wilson survived the explosion on Lian Yu which ended season five was not the only potentially spoiler-filled comment regarding the cliffhanger ending. Though attempting to be evasive, Guggenheim, Emily Bett Rickards (Felicity), Katie Cassidy (Black Siren), Juliana Harkavy (Black Canary) and Willa Holland (Thea) revealed they would all be appearing in season six in some capacity, with Cassidy and Harkavy teasing both another Black Siren/Black Canary face off and some sort of extended reunion (of sorts) between Black Siren and Quentin Lance. That will be but one mystery of several season six will juggle as Oliver deals with being a single father to his son William and putting Star City back together after Prometheus’ rampages in season five, while having to deal an ambiguous new character to be played by Person of Interest star Michael Emerson. On top of that will be the continued actions of the character Vigilante, who Guggenheim promised will be unmasked during season six, and while it would not be who we expect it to be, we can count on it being a character we are familiar with and have seen before. Onwards to season six! Arrow will move to Thursday nights at 9:00pm ET/PT when season six premieres on October 12.